September marks that weird lull period between two holidays. Labor Day has long passed and Halloween seems so far away. You might think that there’s nothing worth celebrating about September, but you’d be wrong. It’s Chicken Month, as Holiday Insights confirms. 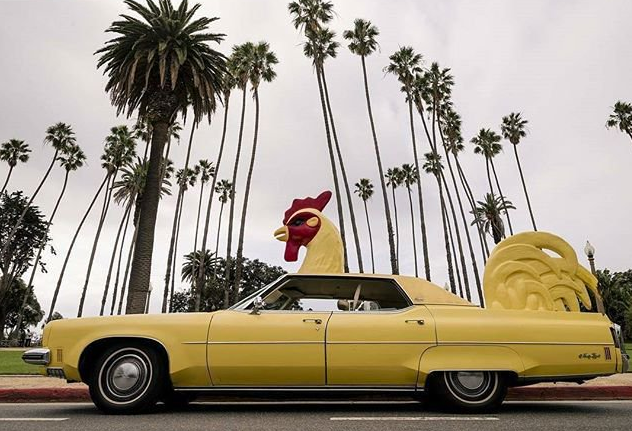 To pay homage to this month-long celebration of this bird, here’s a random story about a 1973 Oldsmobile that got a chicken-inspired makeover. The vehicle belongs to retired champion auto racer Tommy Kendall, who now resides in Santa Monica, California. The story of how he obtained this unique ride is about as crazy as the car itself. 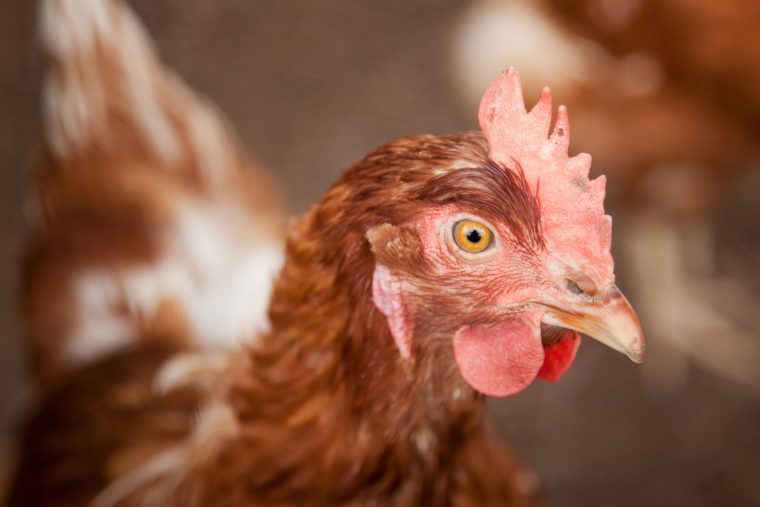 In 1997, he was working an office job when he happened to hear what sounded like a chicken. He glanced outside and saw the rooster car, “clucking like a chicken through a loudspeaker.” Though Kendall offered the owner $3,500 for it, she drove away. He took pictures of it before the car disappeared from sight, though. A popular car magazine included one of the shots in one of their issues. Later on, Kendall received a call saying the car was at an impound lot and would appear at a local auction soon. He bought the car for $895 — a steep bargain from what he’d been planning on paying for it originally. He dubbed the car “El Gallo” (the rooster) and has enjoyed owning this quirky car for more than two decades. No one knows exactly why someone transformed the Oldsmobile into a chicken car in the first place. The only thing Kendall knows about its origin is that it once belonged to “a promoter of some kind, in Ohio.” Kendall’s favorite part about owning this avian auto is that it opens new doors for meeting interesting people and having extraordinary experiences. It’s an unusual story. But September is an unusual month, considering it’s random tribute to a random bird.